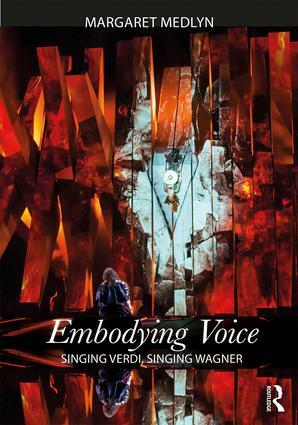 Embodying Voice: Singing Verdi, Singing Wagner articulates the process of developing an operatic voice, explaining how and why the training of such a voice is as complex and sophisticated as it is mysterious. This book illustrates how putting together a voice, embodying a sound, and creating a character are vital to an audience’s emotional involvement and enjoyment. Moreover, it addresses an imbalance of power between the opera director and the orchestra conductor – ultimately, it is the communicative power of the singer’s voice that brings life to an opera, a fact well known by Verdi and Wagner. Embodying Voice highlights the singer’s creative agency to be co-creator of the composer’s music. It explores the ways in which vocal performance is constructed and controlled, connecting layers of mind and bodily engagement that allow operatic singers to achieve expression beyond the text itself. Further reading, listening, and performance lists are provided at the end of each chapter, complemented by musical examples throughout.